Now remembers if you quit while reading a comic and displays it on start-up. Can now tap the edges of the screen to change page. The tap area is a little narrow so that you can easily reach past it with your thumb for scrolling. The BEST way to change page is to simply slide your thumb from the bevel into the screen and back. It's picked up as a page turn every time and it's very natural. Added an in-app options button that allows changing the background and toggling tap-to-turn pages. Will add the rest of the options in subsequent releases. When the user tries to load an image that's too large for the iPad CZ resizes it, saves it so that it won't be a problem again and shows the user a dialog explaining what happened, the dialog is only shown once. This fixes the crash on page load that some people were experiencing. Will now always show the series of the comic you're reading when the category pop-up is shown. Fixed a problem where the application would crash if the user attempted to load their comics on the first ever run of the app. Fixed problem with having to press category selections twice. Fixed crash when 'saving' a move operation where there were no categories. The cursor will now automatically come up when renaming or moving. 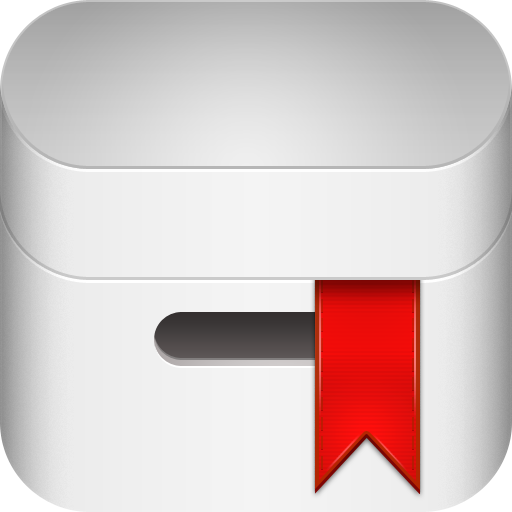 He's also been working on a great new icon that will make it into the app in the near future (not for 4.0.8 though). It's fantastic. Needless to say it's been a hectic couple of months. The iPad is just perfect for Comic Zeal, there was never a question that I'd be creating a version of Comic Zeal for it. There are three things I'd like to address today, first I'd like to take you through the Comic Zeal 4 interface, then we'll talk about importing comics and we'll talk about upgrading and versions last. You'll notice a lot of familiar elements there. The pop-up view holds what used to be the main navigation screen from the iPhone version. Adam has designed new icons for each of the categories and these are shown at the top of the screen. You'll also note that the comic title and page number are shown on the same toolbar as the icons. There is no longer a distinction between reading and selecting comics like there is on the iPhone app. It works really well, as you end up selecting the little covers on the pop-up to see the larger version on the main view. It's a very effective way to browse and if you've started to read a comic the bookmarked page is shown instead and serves to give you a quick catch-up on what you'd got up to while choosing a comic. At the moment we're still showing the 'hide interface' arrow on the top right, Adam has come up with a better option for this but it's not made it into the first release. We've moved most of the controls to the top of the page because if the iPad is on your lap then it's going to be awkward to reach buttons on the bottom of the screen. You'll end up having to thrust your elbow forward and be tempted to press the buttons with your thumb (try it now, pretend to press a button just in front of your belly). When the controls are at the top of the screen you can use your index finger to press them. We've made an exception with the page turning controls, those should be and are accessible by thumb. Naturally, the reading interface can still be dismissed by a double-tap to give you a full-screen view of the comic. When the interface is hidden you turn the page by sliding the current page left or right. Sliding it to the bottom of the screen stops the reading of the current comic, shows the interface again and displays the comic selection pop-up. Comic Zeal will still need to process the comics and resize the images, although they're now 60% larger than they were before. This process is going to be optimised and tweaked once we get our hands on a real iPad. At the moment we have no idea how long it will take to process the comics and it could be that on release, using Comic Zeal Sync is still the best option. You'll still need to use Comic Zeal Sync to read PDFs, we don't know how the iPad will deal with opening the huge PDF files that a lot of you have. At the moment we can't talk about any other options for transferring the comic files into Comic Zeal so please don't think I've forgotten to mention it, I just can't talk about it. So why is this called Comic Zeal 4 and not Comic Zeal iPad? The plan at the moment is to have both versions on the app store (this means that Comic Zeal 4 will be an additional purchase). As the tools to do it become easier we'll make version 4 iPhone compatible too and at that point we'll stop development of version 3. Whilst both versions are on the store I'll do my best to ensure that any big version 4 features that are feasible on the iPhone also make it into version 3. So Comic Zeal Version 4 isn't just for the iPad, at some point it will also be available for the iPhone, just not yet. First, thanks to Jim Shelley for allowing us to use his Flashback Universe comics to promote Comic Zeal and make them available for download. All the landscape screenshots are from his comic 'Paladin'. Second, please keep in mind that the images you see here are taken from the iPad simulator, the real device has a much larger bezel. Third, you can click on any of the images on this page to see them full size. In this post we look at how we went from the text-based interface of ComicZeal V1.0 to the flowing comic covers of V3.0. By the end of 2008 it was becoming obvious that to stand out and be successful on the app store applications needed to provide a rich graphical experience. I was getting more and more requests to provide an interface similar to the 'Classics' app, which at that time hadn't yet been released but was making waves with its innovative user interface (1). Classics displays a nicely rendered bookcase with multiple books on each shelf. The books can be re-organised by dragging and dropping them around the bookshelf. What the people making the requests didn't realise is that the functionality provided by 'Classics' doesn't scale very well when there are thousands of books, or comics, to manage. We needed to provide a richer interface but still maintain the speed and organisational abilities that had been provided by the user interface so far. To help us in this we enlisted Adam Shiver from Elixir Graphics and it was one of the best decisions we ever made. If you're a single developer working in your study, or basement or whatever and you think you can do your own user interfaces let me tell you this; you cant. Start working from that assumption, if in addition to being a developer you have years of experience in graphics design then sure, maybe you can, otherwise find a professional to help you. It was everything we wanted from the point of view of improving presentation and we decided to go down that road but limit the display to one comic per shelf. The differences between landscape and portrait comics, comics in boxes, comics in bags and the requirement to display text in a readable size AND run on a first generation iPhone made multiple comics per page too difficult. Adam spent some time refining the mock-ups, I spent many a late night coding and by early February we were ready to release Comic Zeal 2.0. In addition to the new interface it had a number of speed improvements, a different comic storage method which made backups a lot faster and added the ability to rename and move comics. Once V2 had been out for a few months and maintenance for it wound down we started to work on V3. Version 3 was to add the multiple books-per-shelf featured that we'd wanted for V2, it also had a redesigned comic selection interface that showed recently viewed and downloaded comics. We moved away from the bookshelf presentation as it was too difficult to reconcile it to the varying number of comics on the screen at one time. Instead we enlisted Adam's help again to develop an interface where the comics float over a fixed background. The floating comic effect is normally quite subtle but they pop up when the interface goes into edit mode, when one is selected it pops down and trembles. Is it excited at being moved or scared to be deleted? No-one knows. That brings us up to date! Next up Comic Zeal V4, for the iPad. (1) Well, innovative for the iPhone. The bookshelf look was pioneered by Delicious Library, and as iBooks shows, even Apple are fans. As we get close to the release of a new version of Comic Zeal for the iPad it's a good time to reminisce about what the earlier versions looked like. Comic Zeal was the first comic book reader on the iTunes App Store. At that time, just a few months after the store launched, iPhone user interfaces were still relatively new and expectations... low. Let's start off by looking at the screen that has seen the most changes. Does this look familiar to you? Everything a comic reader needs is right there. You can change pages (in both directions) AND go back to the menu. The buttons stayed on the screen all the time. In the few weeks after launch we changed the button behaviour and implemented something that was to set Comic Zeal apart from other comic readers for many months to come; persistent zoom. Back then, if you used Apple's zoom control, every time a new image was displayed the zoom level was reset. Every time you turned the page you'd have to zoom in again. We developed a method to keep the zoom level consistent between page turns without breaking Apple's rules. We were the only ones with that feature for a few months after other comic readers appeared on the iTunes Store. Beautiful (for the time), but a bit of a cheat. It's a web page, accessed from within Comic Zeal. It did however make it very clear that the comic selection screen in Comic Zeal would one day have to look like this. Next time we'll look at the changes that version 2.0 bought.